Skin care business help and support to succeed in the beauty industry. The skin care industry is a lucrative market, but also very competitive. The fragmented niche market of the personal care industry, the skin care industry has grown significantly over the last several years. Total sales in the beauty and personal care industry were roughly just over $426 billion last year. Skin care business help is available for individuals, start-up brands, and established companies to excel, grow, and succeed through information, resources, and quality services. The range of products that are offered for the skin care market are much more diverse than the hair care market or other personal care verticals. Skin care includes skin moisturizers, cleansers, facial products, anti-acne, and anti-aging products. These are available to the consumer through various brands with natural, organic, cosmeceutical and scientific based formulations. Other brands focus more on herbal, marine, and anti oxidant rich ingredients. Regardless of niche and bran’s skin care technology and market position, most brands need similar action to achieve success and prosper in the skin care industry. Here are some common skin care business needs and requirements. If these areas are successfully executed, a brand has a chance at capturing market share in the desired beauty niche. Business consulting services for the skin care industry can be very beneficial to start-ups and established brands. Experienced consultants that may have specific niche skills such as starting brands, product design, marketing, or/and technology services are a great way for brands to get to the next level. 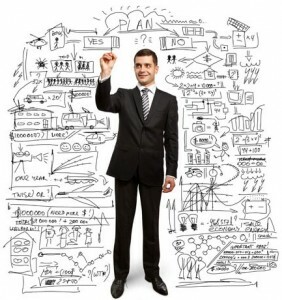 Objectives are easier met with expert help that has the required experience and knowledge. A consultant is a temporary asset to a brand even though some skin care brands retain the services of professional consultants for years at a time. Other brands, hire consultants for specific jobs, tasks, and objectives. How to get started with a skin care business consultant? 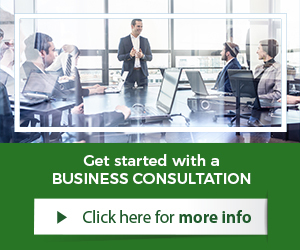 Most consulting companies offer a free consultation such as an attorney would. It allows a brand to ask some questions and gain clarity on certain subjects. The consultant can ask the proper questions to gain a better understanding of the brand and primary objectives. This is a great way to get started for a brand. Most consultants also either offer the services to meet the objectives or have relationships with vendors that can execute the required tasks to reach a brand’s goals. This further supports and helps skin care brands to grow and succeed in their market. Consulting services allow a brand to gain necessary expertise to reach specific milestones as a brand. Consultants can be retained for technology upgrades and changes, marketing campaigns and investments, product design and packaging, and much more. Any area, a brand wishes to improve upon or start can be supported through working with skin care business consultants. Most branding starts with the name and the logo. Names are usually created by the founders of a skin care brand and at times with help. Skin care logos, tend to be created professionally. Logo design services are retained and for better results with industry experience. The beauty industry is a very visually oriented industry. Consumers are constantly exposed to beautiful imagery within the skin care industry. Logos must be appealing, attractive, and deliver the message intended by the brand. Logos can be a complex process and lots of emotions usually tends to be involved by the visionaries of the brand. These emotions and vision must be translated accurately into a company logo through graphic design services. Brands have a choice to go online and find seemingly an infinite amount of service providers that are capable of producing a skin care logo. What choices are the best for a skin care brand? Quality skin care logos are created by service providers who have industry specific knowledge and experience. Logos should be reviewed by brands in service providers skin care portfolio. This will give a brand a good idea about the service provider in addition to other aspects such as price and availability. Brands should hire experienced companies that have designed logos that can be seen, reviewed, and are affordable. When making a decision to invest into a website for the skin care industry, one must understand the difference between owning and leasing websites. There are pros and cons for either side, but an individual or more established skin care brand must understand and know prior to making an investment. Leasing Skin Care Websites: Leasing websites main advantage is the lower start-up costs and requirements. Websites and commerce solutions that are leased, require very little upfront cost to get started. These leased website solutions are managed and require less of the client operating them. Leased solutions often come with standard, regular website templates. Many companies offer customization for additional fees. The downside of leased solutions are mainly the limitations of website customization and design. Storefronts are usually more limited and less customizable. Owning Skin Care Websites: Unlike leasing, owning skin care website allows the brand to have their own server and hosting environment. Owning a website gives the brand full control, and most importantly a clear exist strategy. It can always be sold with the business unlike leased solutions. When owning the hosting environment, brands are able to get fully customized websites developed and the choice of software applications powering their e-commerce website. The downside, is they are more work for the skin care brand. The maintenance is a requirement of the brand with owning websites and upgrades as well. Skin care consumers are some of the most educated customers. Men and women research their brands and products thoroughly. Reaching them via all devices such as tablets, smart phones, and computers is key to selling skin care products online through e-commerce solutions. 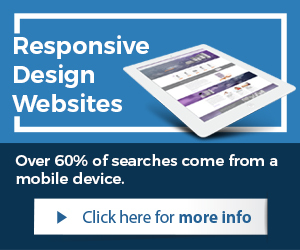 A responsive design website as the name suggests, responds to the device viewing the site, and automatically re-sizes to fit. 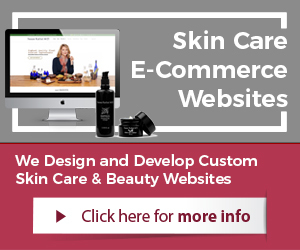 Why skin care brands must have responsive design websites? The argument for skin care brands to have a responsive design website in HTML5 is driven by consumers mainly. The average skin care customer conducts a vast amount of research online prior to choosing a new skin care product and finally buying it. Brands must be able to be visible to their customer base and target market on all devices. People read, search online, and spend time on smart phones and tablets throughout the day and night, much more than computers. Already, statistics show that we have surpassed the usage of computers with mobile devices. As of last year, more people are using tablets and smart phones to access the Internet than computers. It is highly advantages for brands to have HTML5 websites even if most of sales come from retail distribution. 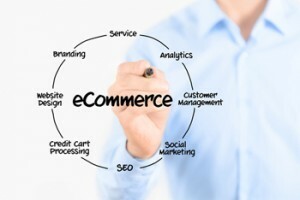 If brands have e-commerce websites, having a new HTML5 site, becomes much more beneficial for selling products online. They are faster, easier to manage, quicker to scale, and work across all currently used devices. Without a responsive design website, skin care brand’s websites are only visible to 30-40% of their market. Tablet sales are expected to exceed 100 million this year, meaning that responsive design has never been so important for brands. Skin care consumers benefit of responsive design websites as well. Another benefit of responsive design is that the user has an improved site experience, as there is no need for redirection. Use of standardized Style Sheets (CSS) across devices and unified design approach creates a consistent look and feel for the website visitor. Consistent user experience has a positive impact on conversion rates, which drives sales of skin care product up. Responsive design removes some of other barriers as well that having multiple sites can present, i.e. in functionality, performance and consistent look and feel. Another benefit of responsive design, it takes less time than creating an additional stand-alone site for mobile devices such as smart phones and tablets, which has been the past approach. Save cost on development and design. Have a single solution across all devices saves time in development as well as cost. The development time can significantly decreases with a single design and development project and software application to manage all functionality of a website. Skin care brands will find it much easier and less time consuming to manage and maintain a single site. For starters, a responsive design website can be managed by only one content management system (CMS), which streamlines the administrative work for a skin care brand. Since none of the work has to be duplicated or other websites maintained, it is much more cost effective for a brand to operate a responsive design website. With the increase in Tablet sales and smartphone device use exploding, responsive design is key to keeping up ahead of skin care competitors and establishing market share in the beauty industry; content consumption on mobile devices will only continue to grow in 2014. Marketing skin care products, consists of a wide variety of sub marketing techniques. A brand needs to successfully deploy and mange these marketing strategies to get the desired results. These different strategies are not singled out just for the skin care market, but are generally the standard and used by most companies who wish to achieve these specific marketing objectives. Search Engine Optimization (SEO) services for the skin care industry are a powerful and most cost effective method to market online. SEO are a combination of tasks that center around link building, optimization, and distribution of skin care brand’s content. It is the art of applying search engine knowledge to get better results in organic search engine results through specific keyword phrases. Unlike paid advertising such as Google AdWords, SEO investments by brands come with long-term benefits. Search engine rankings achieved for specific keywords such as “anti-aging cream” or any other keyword phrase, remain for long period of times, even after SEO services are not utilized anymore. Unlike paid advertising solutions which stop immediately without any long-term benefits, SEO services are a better investment for brands. The down side, the results of a search engine optimization campaign takes longer. They are not over night such as with paid advertising services. 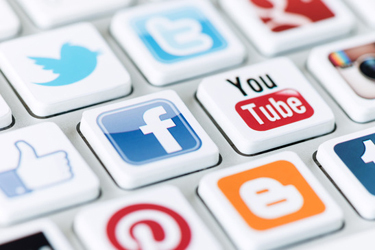 Social Media Marketing (SMM) services are a critical component of online marketing for skin care brands. Social media outlets and the tools they come with such as Facebook, Twitter, Pinterest, YouTube, and others provide an entire new platform for skin care brands to communicate with their desired target markets and audiences. Since people and therefore consumers spent hours per day on social media channels, it makes it a perfect channel to market skin care products. Content Marketing services are the foundation for many other marketing campaigns such as SEO and SMM. For search engine optimization campaigns, a brand must publish and distribute articles and press releases. 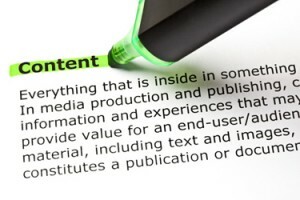 These are forms of content marketing. In addition, through content marketing services videos, and graphics such as Infographics are created, published, distributed, and shared. Content Marketing services focus on creating unique, quality, and highly relative content through skin care blog articles, SEO articles, press releases, Infographics, and videos. Content is created and marketed towards the desired target audience via social media channels, search engines, and Internet. Video is one of the most recent additions to content marketing, but fast becoming one of the most effective marketing methods for skin care brands. Conversion Optimization services help a skin care business convert more website visitors into shoppers and customers without having to acquire more traffic. Conversion optimization techniques use call to action call outs, banners, form mailers, give away, surveys, freebies, and other tools to increase conversion of websites. These tools can significantly increase sales for a skin care e-commerce website in addition to tools such as product reviews, product suggestions, and testimonials. The biggest benefit of content marketing services is the drastic potential of an improved return on investment (ROI) on existing conditions and marketing results. It can quickly improve sales for brands. Most brands can improve upon conversion within their online store, website visitors, and sales. It starts with accurate reporting, analysis, and statistics. Professional help can identify quickly the losses and opportunity for gain. Skin care advertising campaigns can allow a brand to quickly advertise their brand, product line, and offerings to their desired target market. 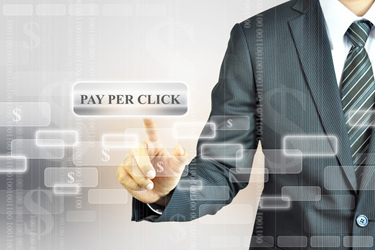 The biggest benefit of paid advertising services is the fast exposure of a brand and products. Advertising opportunities with Google AdWords and other paid advertising channels such as Facebook and YouTube, can over night bring skin care products and promotions to the public. Skin care brands can themselves or through contracting out the setup and management of advertising accounts and tools. Accounts with social media channels such as Facebook, Twitter, YouTube, and other outlets are used. In addition, media buys are used to create communication opportunities on websites that have desired demographic audience. Media buy is for example, a banner or text link on a skin care oriented website that has lots of traffic. For brands who look to support other forms of online marketing such as search engine and social, paid advertising services are a great way to quickly improve existing campaign results and create more immediate sales opportunities. This area tends to be the most challenging for skin care brands. How to successfully sell skin care products through brick and mortar retail and online sales and distribution. Most brands want to have successful online sales through their own e-commerce website, affiliate sites, and other online retailers that distribute their product lines. In addition, most brands want to have their products available to their consumers in all the major national retail chains such as Saphora, Wholefoods, Target, and Nieman Marcus. How to get started to sell skin care products or increase sales for skin care products? Well, the fastest way to sell skin care products is online. A brand can establish a website in a relative fast way and be open for business. With the correct efforts a brand can generate website traffic, sales, and customers. 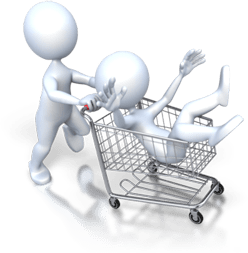 Selling through a brand’s own e-commerce store also allows a brand to have the largest profit margin. Unlike distribution where a brand may loose up to 75% of their profit. Brands can contact distributors and smaller stores in the beginning themselves or hire sales brokers and agents to utilize their contacts with buyers. Sales brokers and agents who specialize in personal care and skin care products can promptly increase sales for skin care products. They tend to have existing relationships with key contacts at desired retail stores. Those contacts can be utilized to pitch the product line for shelve space and display room. If a brand needs help, retaining skin care business consulting services can manage the hiring of sales brokers and agents.